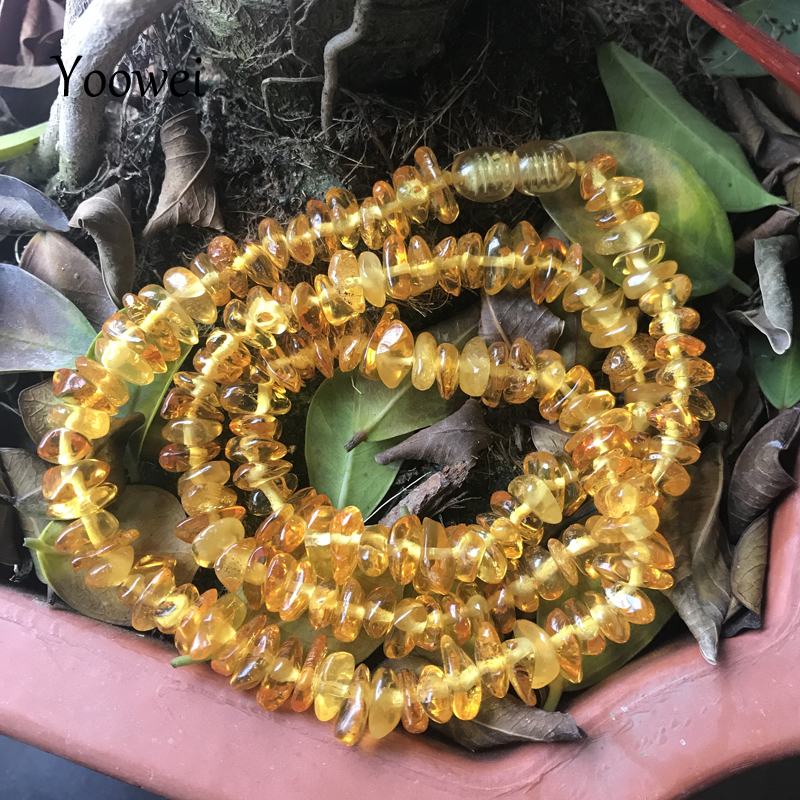 Details: Natural Amber Beads, from Baltic. Irregular chips Beads. can be multi-layered bracelet and necklace. no knots between the beads. 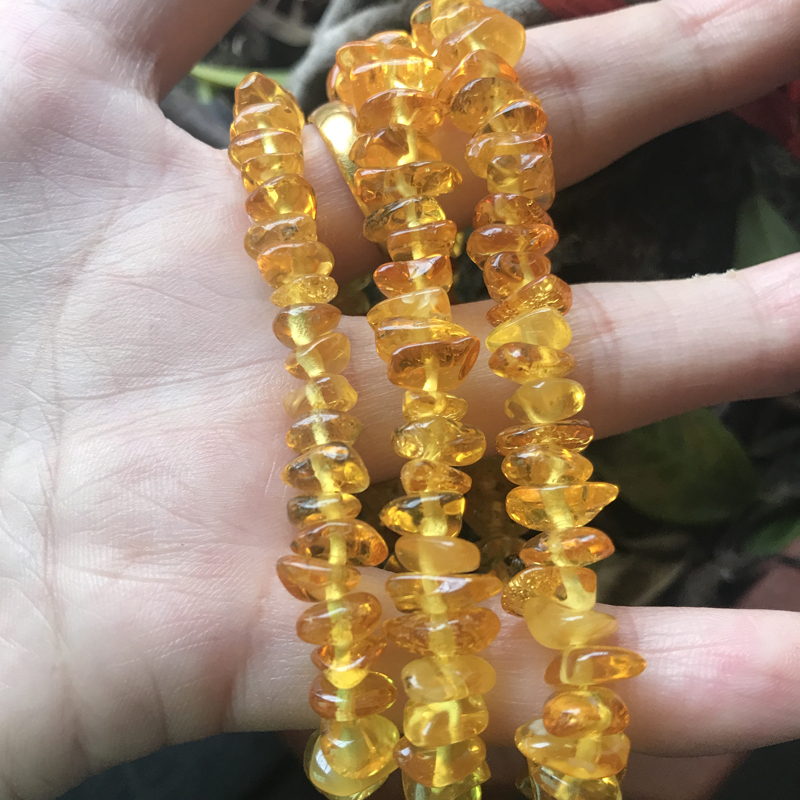 Amber is a natural gemstone, we can’t make the beads are exactly the same. 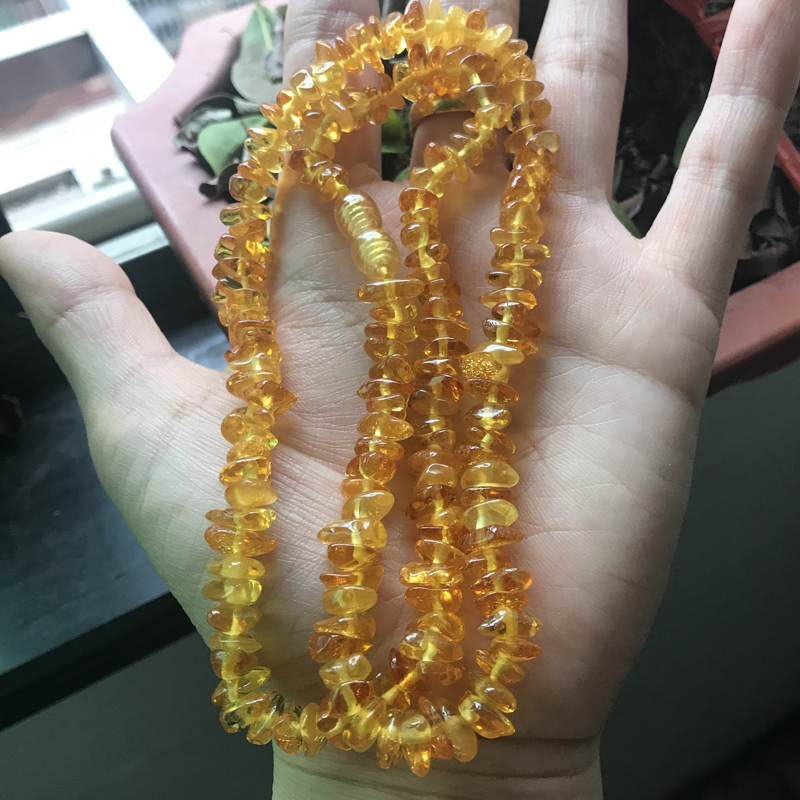 Effects of Amber: Karistratas of Ancient Greece stated: “Wearing the amber necklace, it eased in cases of a severe headache, pharyngitis, and neck pain. In the Middle Ages, European physicians used amber in prescriptions for the treatment of ulcers, migraines, insomnia, food poisoning, jaundice, infertility, malaria, asthma, rickets, oncology, and other diseases. 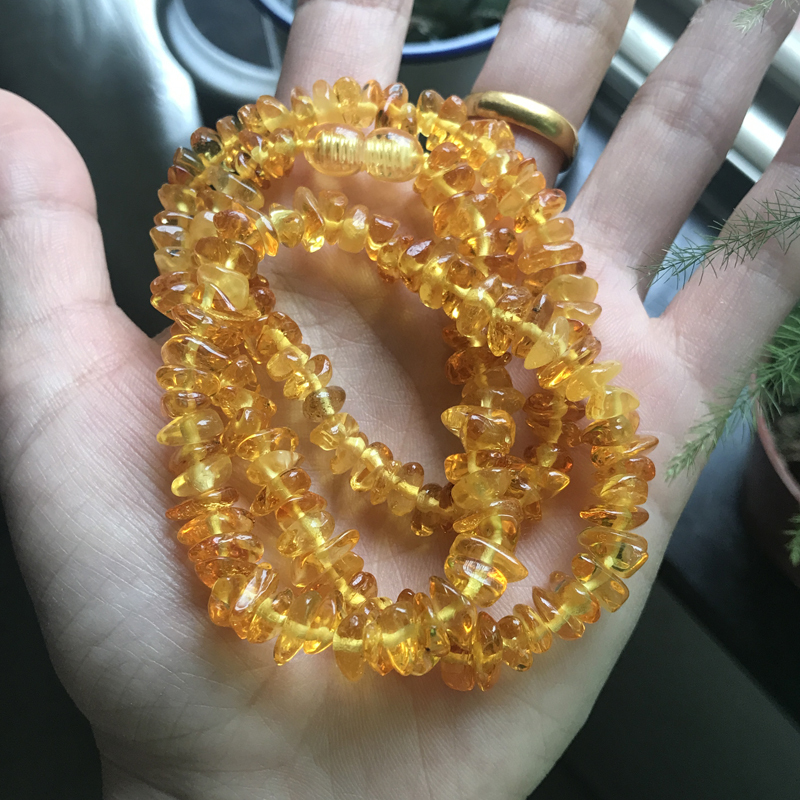 In Russia during the tsarist period, people thought that wearing a necklace made of amber can make the disease away from themselves and their children, while pregnant women wearing an amber necklace can help prevent birth Problems and help smooth Reproduction. In Some Countries, wearing an amber necklace around the necks allowed strong, healthy teeth without pain. In the medicine books of the 19th century, we can almost find records of amber treatment of various diseases. Amber-based sesame oils and balsams, as well as infusions of amber in alcohol, can be used for external application. 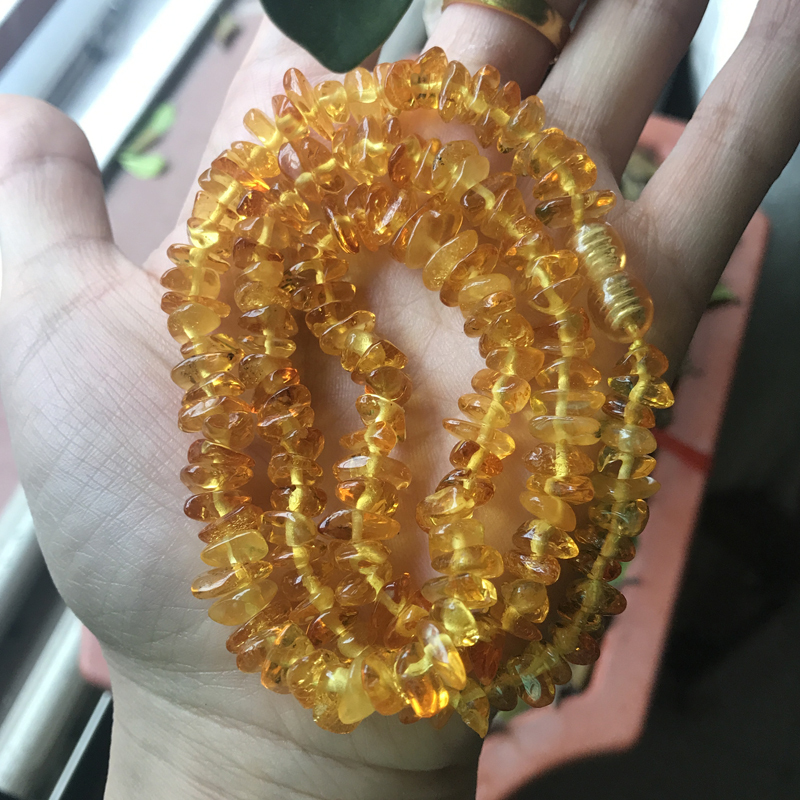 Various types of amber-based blends are also widely used in the treatment of hyperthyroidism, respiratory diseases, bronchitis, asthma, heart disease, high blood pressure, bladder and gastrointestinal disorders, and diseases in the circulatory system. 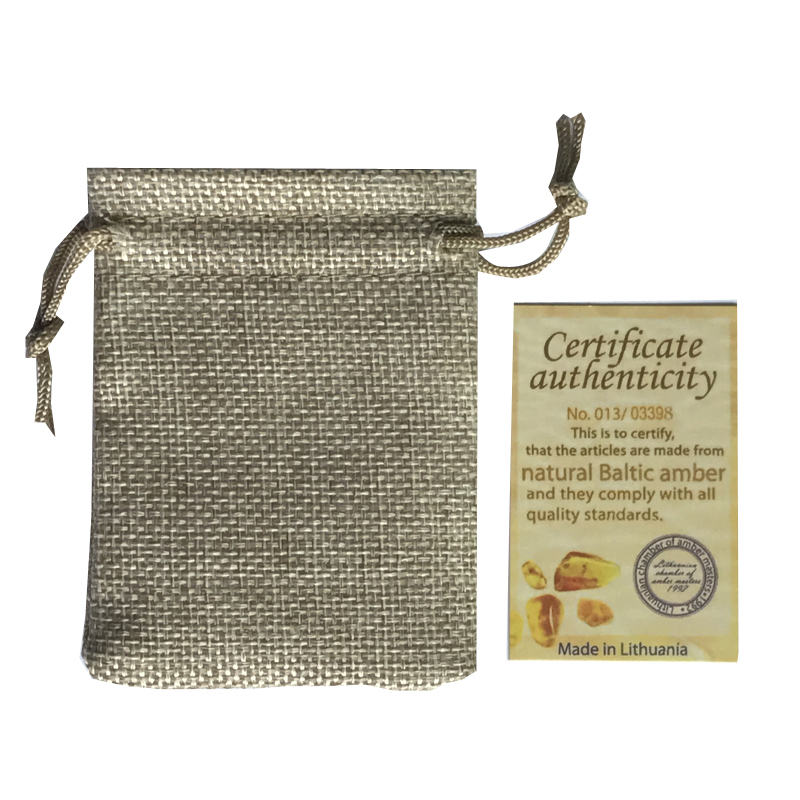 Baltic Amber is not only known as fine jewelry mineral but is also believed to help improve well being. It has long been recommended as a natural remedy for people with respiratory problems and those frequently exposed to stress.